Does our worship leave room for Biblical proclamation? In the conclusion to her meticulous and lively study of the place of Biblical proclamation in Christian worship, Victoria Raymer asks searching questions about some of the elements of liturgical worship which we take for granted. In collecting the material for The Bible in Worship I have encountered surprises. Amid details of practice and its interpretation in three traditions [Reformed, Catholic and Anglican] I have been amazed by how similar they are and yet how different. They share broad principles and ecumenical terminology. Able exegetical preaching in all of them can potentially converge in fresh, transformative proclamation of the Gospel. But in-house understanding of each tradition’s approach to proclamation is unique and characteristic. I have been impressed by Catholic Christological focus, by direct linking of hearing in the Liturgy of the Word with active devotional ‘doing’ in the Liturgy of the Eucharist. I am also persuaded by coherent, formative deployment of symbol and ceremonial. I have noticed with admiration Reformed practices for alerting listeners to attend with expectation as the Spirit is invoked and participation in Christ anticipated in the proclamation of the word. responsibility assigned to individual members of the Church. I now question, however, whether three unfilleted readings, a Psalm, a sometimes lengthy ‘gradual’ hymn and elaborate Gospel ceremonial help or hinder people in attentive listening to the Scripture. prayers of preparation rather than prospectively opening up ministry of the word, may impede a prayerful momentum carrying worshippers into attending to the Bible. the word to become transformative encounter with the Christ, the living Word. Awareness of the Spirit’s activity is liberating and challenging. Responding to the Gospel in the world is empowered. Collects may be treasure too great to dislodge. Announcements and conclusions to readings, with their responses, are currently unsatisfactory. They could be refashioned to invoke the Spirit and give listening focus and energy. In investigating innovative enhancements to proclamation I have become more aware of social processes that deepen collective faith and prompt some congregations to respond to proclamation with practical service in their communities. A strong reciprocal link between faithful, expectant hearing and faithful action is evident. It may function independently of whether hermeneutics are ‘old-fashioned’, ‘conservative’, ‘liberal’, or ‘academic’, although these differences in contexts of wise pastoral use or destructive pastoral abuse may be less ‘neutral’ in their effects on worshippers’ personal lives. Looking at lectionaries has deepened my admiration of the achievement of the Lectionary for Mass and the Revised Common Lectionary. More awareness of their Christological focus and interpretations of salvation history also prompts questions. The Synoptic Lectionaries wonderfully serve the churches as a Christological core of Bible readings for worship. Perforce they exclude much of the Bible. This exclusion is systematic in favouring salvation history and reducing consideration of material that seemed to compilers not directly relevant to salvation, especially Wisdom material. Also under-represented are narratives about people interacting and surviving in ways not so easily seen as part of historical and genealogical processes leading to Jesus. Lectionary review. Agreed successors to the Synoptic Lectionaries themselves would be hard to achieve. More possible, where permissible, may be small adjustments and shorter temporary lectionaries for occasional use in Ordinary Time to access biblical perspectives on issues of current concern as well as to introduce more of the Bible. Ideally these would be well resourced and widely shared. In a tradition that values collective reading of the same texts, a centrally produced sequence of options for each of several successive years might be appreciated. Using the Bible in Worship is published on 28th February. Order before that date to benefit from our prepublication discount. Victoria Raymer is Tutor in Liturgy at Westcott House, Cambridge. She qualified as a lawyer and earned a PhD in Church History at Harvard. She prepared for ordination at St Stephen’s House (as an All Saints Sister) and The Queen’s College, earning a theology degree from Oxford and a Diploma in Pastoral Studies from Birmingham. After two curacies in the Diocese of St Albans she served as vicar of a three-parish benefice. At Westcott she teaches liturgy and church history and serves as a tutor. Is the problem of evil really best left to the theorists? 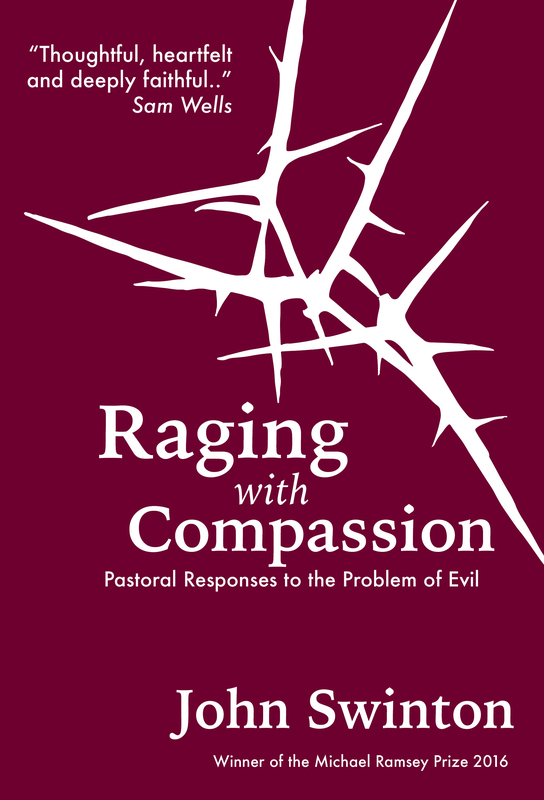 In today’s post, an extract from his book Raging with Compassion, John Swinton suggests that the problem of evil is as much a pastoral problem as it is a theoretical one. I remember it as if it were yesterday. It was six a.m. when I received the call from my neighbor. He was deeply disturbed and only barely able to speak. “Who has gone?” I asked; I was still half asleep and not at all sure what was going on. “What do you mean she has gone?” I replied, slowly beginning to realize that something awful had happened. “Gemma . . . she’s . . . she’s dead. She was walking home after skating with her friends and she just dropped down dead! She was only eleven! Why has this happened? Why has God taken my Gemma? Why?” I sat up in bed in stunned silence. What could I say? The little girl whom I had watched grow from a baby to a toddler and into a lively, vibrant child was gone. All that remained were devastation, sadness, and the question why? What was I supposed to say to this man, my friend, who had had the heart of his life ripped out in an instant? The doctors had no idea why she died; “it was just one of those tragic mysteries,” they said. Her parents had no idea why she had died. I had no idea why she had died . . . but . . . surely, as a theologian, I should have something to say. Was this loss punishment for something the family had or had not done? Was it a test of their faith? Had God “taken Gemma home” for purposes that are beyond human understanding, purposes vague and unclear in the present but that will become clear in the grand scheme of things? Or was Gemma’s death nothing but a totally meaningless incident that has little real impact on a meaningless world ruled by cause and effect, a world within which the death of one small child will make little difference in the long run? One of the main problems with theodicy is that, particularly in its academic form, it deals with a primarily intellectual dilemma. Suffering is viewed, first and foremost, as a theological and philosophical problem to be solved and only secondarily as a human experience to be lived with. For the most part, the theodicist attempts to answer the questions raised by the existence of evil. She would not consider it her role to respond to evil in an embodied, practical fashion. Consequently, the academic theodicist cannot experience the vital aspects of applying theodical thinking. Theodicy, then, assumes responsibility for producing convincing answers to the complex problem of evil, but it need not be responsible for reflecting on the actual impact of evil on the lives of real people or for developing active ways to resist evil and deal compassionately and faithfully with suffering. Thus, the approach and assumptions of theodicy stand in stark contrast to the experiences of most of the world’s population. Those of us who live in the world of bodies and sentient experiences do not experience evil and suffering primarily as problems to be solved through the clever use of the intellect without any reference to particularity or context. Rather, we experience them as meaningful and painful human events that are profoundly spiritual and that often threaten to separate the sufferer from the only source of real hope: faith in a loving God who will bring liberation and redemption. In other words, the problem of evil for most people is not simply that it exists, but what it means for their lives, for the lives of their families, their communities, their nation. The problem, then, is not only why evil exists, but what it does. The issue, then, is that traditional theodicy is primarily an intellectual enterprise, while for most people in the world theodicy (their personal and contextual “study” of the problem of evil and how it affects their understanding of and relationship with God) has a relentlessly practical impact and meaning. John Swinton is Chair in Divinity and Religious Studies at the University of Aberdeen. He is the author of Dementia: Living in the Memories of God for which he won the 2016 Michael Ramsey Prize for theological writing, Becoming Friends of Time (2017) and co-author with Hilary Mowat of Practical Theology and Qualitative Research. Raging With Compassion is published by SCM Press later this month. Pre-order copy at the pre-publication discount, via our website. We’re very excited that two SCM Press authors feature in the programme for the 2018 Church Times Festival of Faith and Literature in Bloxham, Oxfordshire. As the “literary festival with a theological slant”, the Church Times Festival of Faith & Literature celebrates the very best new fiction and non-fiction with a faith perspective. Running from tomorrow (16th February) until Sunday 18th February, the festival includes an exciting line up of authors and thinkers who will be considering this year’s theme ‘Building a New Jerusalem’. Amongst the speakers is Andrew Rumsey, author of the acclaimed Parish: An Anglican Theology of Place, which SCM Press published last year, and which Ben Quash described as ‘profound’, and John Inge called ‘unrivalled’. Andrew will be speaking on the theme of parish in a talk entitled ‘Blessed Plot: How the English Parish Built a Nation’. Should theology stay out of the workplace? Unless they have any interest in a water-cooler conversation about the trinity, or they like whiling away your time in the van by chatting to your workmate about the doctrine of incarnation, most people might hope that the places they work would be theology-free zones. Or certainly that academic theology wouldn’t have anything useful to say about these mundane everyday occupations. But the contributors in Work: Theological Foundations and Practical Implications argue otherwise. They suggest that work is a fundamental aspect of human flourishing, and, as such is exactly the kind of thing that theology should engage with. Here’s an extract, taken from the foreword by Mark Greene, Executive Director of the London Institute for Contemporary Christianity. But is it astonishing? How can anyone remain interested in a religion which seems to have no concern with nine-tenths of his life? Indeed. Why would anyone remain interested or indeed become interested in a religion that ignores nine-tenths of their life? Sayers’s point was not just about work. Her point was about Christianity as a whole. And she had a point then, and she has a point now. The reality in the UK, in the USA, and indeed globally is that overall the religion we have been exhorting believers to follow and inviting non-believers to embrace is a religion that has inadvertently tended to be pietistic, leisure-time oriented, pastor-centric, and neighbourhood-centred. Yes, since John Stott, Billy Graham, Samuel Escobar, and Rene Padilla made such significant advances at the first International Congress on World Evangelization in Lausanne in 1974, huge steps forward have been taken in embracing an active, purposeful, and sustained concern for the poor and in beginning to engage more proactively in the structures of society. However, their bigger holistic vision for gospel action in all of life has yet to find widespread, dynamic expression in the global church. It remains the case that the vast majority of lay Christians have no compelling, holistic vision for mission in their overall Monday to Saturday lives, and still less for their daily work. We disciple God’s people for a dynamic, transformative relationship with God in every aspect of life. We offer all those involved in daily work a rich biblical understanding of work. We must help workers to see not only that work matters to God but why it matters; why their particular work matters; how work is central, not peripheral, to God’s purposes in time and eternity − in blessing all nations, in witnessing to all nations, and in God’s plan for reconciling and restoring all things. The forces ranged against such a seismic shift in thinking and living are formidable and have been deeply embedded in the culture of denominations, training colleges, hermeneutics, homiletics, seminary training, publishing, hymnology, corporate worship, and models of discipleship for 200 years. They will not easily be vanquished. And they will not be vanquished without the scholars. Indeed, on a personal note, I have spent the best part of 35 years doing my best to help Christians and their leaders live out a biblical vision for Monday to Saturday life in general and work in particular. And I am acutely aware of the questions I was not able to answer, the eschatological conundrums I could not resolve, the textual interpretations that I could not make confidently, certainly in part because I didn’t have the scholarship. So I know we will not make long-term sustained progress in missional discipleship without the robust theological foundations and acute biblical insights that come from the work of scholars, and that then form the hearts and minds, the imaginations and aspirations, the priorities and praxis of church leaders, and then of their communities. 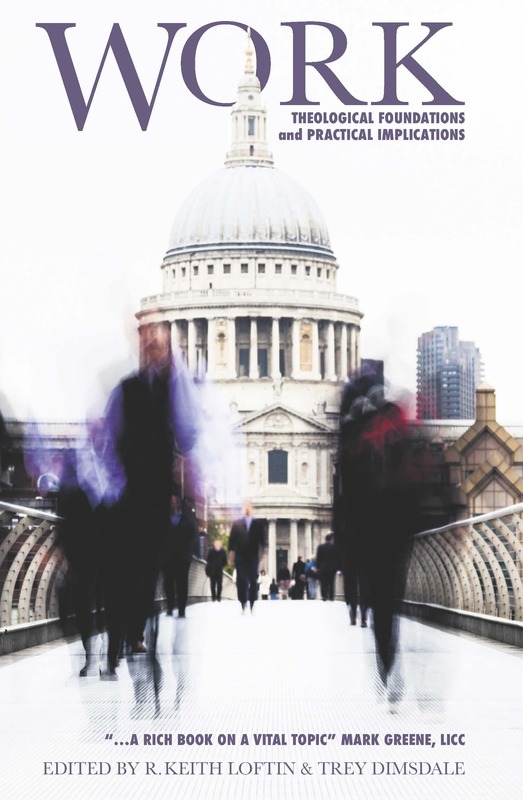 Work: Theological Foundations and Practical Implications brings together biblical scholars, ethicists, economists representing a spectrum of theological voices, including Miroslav Volf and Samuel Gregg. How do I preach in a way which allows God to connect with his people? JON RUSSELL explores what good preaching is – and what it isn’t. on earth does God want me to say? there equipped with the best set of critical tools that money could buy. I sat at the feet of eminent Old and New Testament scholars. So now, bent almost double under the weight of apprenticeship and expectation, I am on my own. Still with only a Bible, a typewriter and a blank sheet of paper. And, I hope, pray and trust, something to say that God wants to communicate to my new congregation. A three-point sermon by Sunday, on the text of ‘Jesus, the True Vine’. I have the manuscript of that first sermon, 35 years later. It is unimaginably dreadful. I’d picked up some interesting points from the commentaries I’d read; I’d found a goodish illustration or two. But what I produced showed little evidence of any gift for preaching, however carefully I had employed the set of shiny new critical tools at my disposal. The congregation must have concluded very quickly that whether my sermons be short or long, they were always going to seem long. preferably unemotional argument. Thus would the preacher effect a change in their behaviour, or an increase in their understanding. As recently as 2015, I have seen this strategy commended for use in a homiletics textbook. For ten years I struggled on, growing ever more dispirited. I tried my best to make sermons relevant to the lives of my congregation and hold out the word of God for them. I tried my best to pick illustrations that would somehow bring my sermons alive. But deep down, I knew they were boring: as dead as the bones in Ezekiel’s valley. They were not inspiring my congregations; and writing them was sapping my will to live. I couldn’t do this any more. The guilt of being a hopeless hermeneut, and an execrable exegete! At this low point in my ministry, I was asked to help organize an extended workshop on preaching. The main speaker was David Schlafer, from the Washington College of Preachers. David Schlafer changed my world! He introduced participants to the New Homiletic (although I don’t think he ever overawed us by calling it that). He suggested the revolutionary idea that a sermon needs to have movement: it needs to plot. And we live in a visual world, he reminded us; in addition to plot, a sermon needs vivid visual imagery, even if its basic strategy is an argument. Why? Another great preacher, Herbert O’Driscoll, at whose feet I would sit a couple of years later, concludes that congregations don’t want to be given a map to show them how to get to the coast. They want to be drenched in the spray. 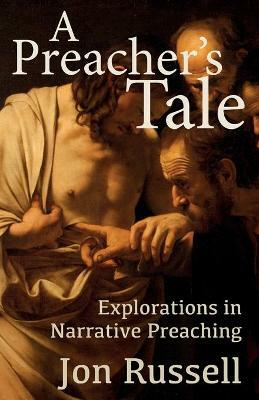 Most homiletic textbooks expound and explain a theory of preaching. Then, sometimes but not always, they give examples of how this works out in practice. Or they set exercises, so that the reader can practise new skills and explore particular ways of thinking. But this book is not a map to explain how to get to the coast. It is not an academic tome, developing some new homiletic insight or grappling with the philosophical justification for preaching in a post-modern world. I do not write from a university faculty or a theological college campus. This book is a compilation of real sermons, preached to typical Sunday congregations. This book is an attempt, by a journeyman preacher, to reassure other journeymen and women preachers: you can write sermons that will allow God to connect with his people, because he still wants to drench us in the spray. propositional, three-point sermon that is still so prevalent. My hope is that, feeling the spray for themselves, preachers can invite others to join them among the breakers. Jon Russell is a parish priest in Northumberland. For the past ten years he has taught narrative preaching, firstly as part of Reader Training in the Diocese of Newcastle; then, since its inception, as part of the Lindisfarne Regional Training Partnership, training readers and ordinands in the dioceses of Newcastle and Durham. He is a regular contributor to The Preacher magazine. This is an extract from the introduction to A Preacher’s Tale, published later this month. It’s available at a special pre-pub price from the SCM Press website.